By car: from Livorno, Civitavecchia, Genova, La Spezia, Piombino to the Olbia port by hydrofoil and high speed auto transport ferries; then follow the freeway SS 125 to Arzachena and on to Palau. 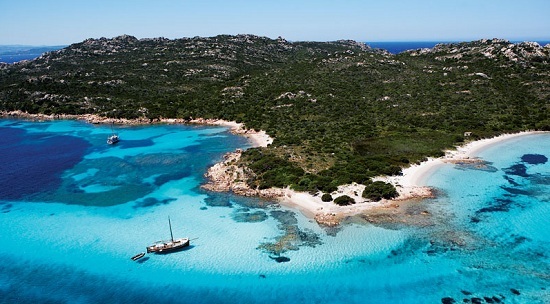 From here, take the hovercraft to La Maddalena. Daily boat trips are available to/from the main islands. From Sassari take freeway SS 597 towards Oblia and follow the indications. By ferry: take the hovercraft from Palau to La Maddalena island. 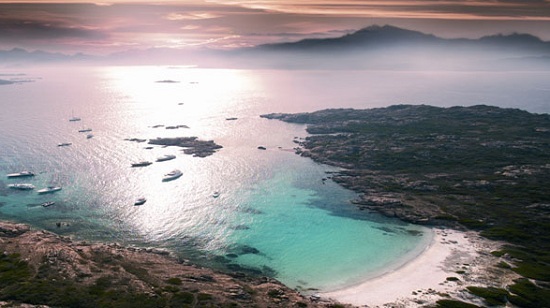 In Brief: Among the newest parks, the La Maddalena National Park protects a marine sector three times larger than its land surface area. The Park Authority has dedicated itself to promote the Park and make it accessible to a widespread public. All the 6 structures, comprised of environmental education centres, research centres, museums, etc., are accessible to visitors with mobility limitations such as elderly people, children and people with disabilities. The Park Authority also organizes guided visits for visitors with disabilities at the Mineral Museum. La Maddalena: the only inhabited island of the archipelago, with a total of 13,000 residents. It can be reached by hovercraft from Palau. Garibaldi's presence (the 1800 italian patriot) is marked in the town centre by monuments such as the Colonna, The Palazzo Comunale and the Parco della Musica where a bust of his wife Anita is placed. 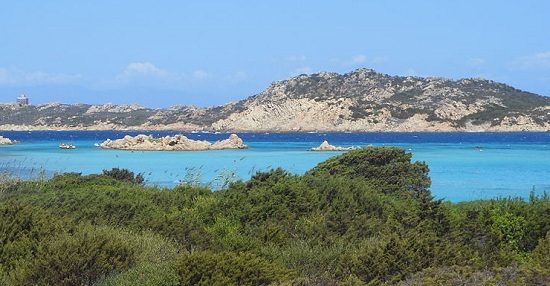 Caprera: the richest island from a naturalistic point of view, Caprera is connected to La Maddalena by a bridge which passes by the Garibaldi Museum. The Porto Palma sailing school is located here. Cliffs are exposed above the sea on the Northwest side, creating inlets such Cala Coticcio - famous throughout the world for its extraordinary beauty. 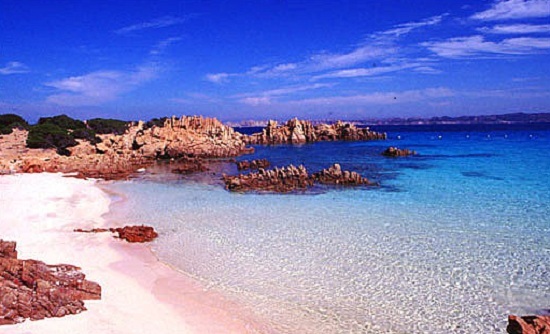 Spargi and Budelli: smaller islands characterised by white and pink sand beaches. Razzoli and Santa Maria: joined by the Passo degli Asinelli, these are the Northernmost islands with rocks sculpted by wind and sea forces. On the island of Santa Maria there is a small medieval monastery of Benedictine monks. Cradled amongst the islands of Razzoli, Budelli, and Santa Maria, the Porto Della Madonna lagoon creates one of the most suggestive views of the Park and the location where, according to legend, clear emerald green waters gave birth to Venus. Park Outline: The particular environment of the Park has miraculously saved the Archipelago from the devastating urbanization of the Gallura region over the past few decades, but only the alertness of environmentalists has prevented potentially devastating tourism projects on the islands of Budelli, Razzoli and Santa Maria. If the Bocche di Bonifacio International Marine Protected Area joins the Park in the coming years, it should prevent similar dangers and provide a more balanced environment to the group of islands. 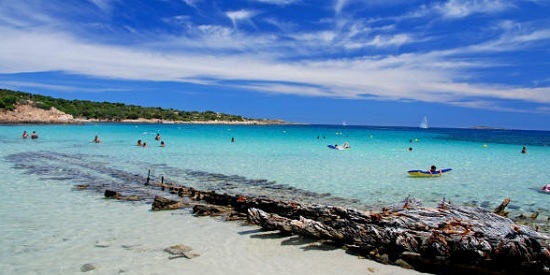 The Park includes the Archipelago situated Northeast of the Sardinia region and is comprised of seven main islands and numerous smaller islands and enclaves belonging to the La Maddalena township along with a strip of sea that surrounds the islands. The main islands are: La Maddalena, Caprera, Santo Stefano, Spargi, Budelli, Razzoli and Santa Maria. Beaches, cliffs, ravines and white and pink sand characterize an area of rare beauty and particular natural history and culture. The islands are formed by rose-colored granite rock sculpted by the wind into amazing shapes. The recently instituted Park Authority is currently organizing large-scale events to promote a sustainable management of the area, improving agricultural and pastoral activities and the development of compatible activities connected to fishing, navigation and tourism. Wildlife: The vegetation on the island is the typical Mediterranean costal maquis: Juniper, Mastic tree, Heath tree, Rockrose, Euphorbia and European holly cover the rocky areas; the beaches and sandy areas are covered with pioneer plants and psammophile vegetation. 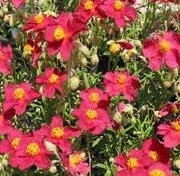 Rockrose, Heath tree, and Rosemary have colonized the areas affected by fires. In some parts, Holm oak and Strawberry tree forests are able to resist the strong winds. Animal life on the island is comprised of the Marginated tortoise and birds appear on the islands during the migratory periods: in particular, some rare species such as the Cory's and Manx shearwater inhabit the rocky areas of the islands. The Park's species richness derives almost entirely from the sea: there are many rare species in an entirely conserved environment. 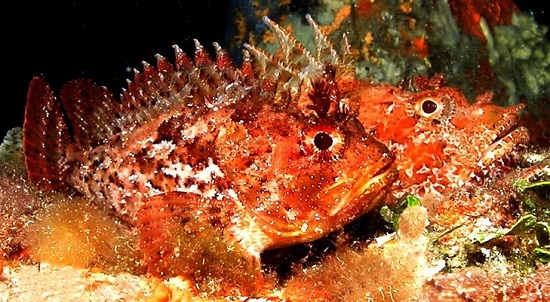 Two rare species stand out in particular: the encrusted red seaweed, Lithophyllum lichenoides, and the Ribbed Mediterranean, Patella ferruginea. The seabed is filled with Mediterranean seagrass populated by numerous species of fish and colorful mollusks. In addition, the sandbanks and the coral limestone rocks promote the abundance of many coral varieties. Various species of dolphins have been studied for years along the coasts of the Park, where they find food and fairly tranquil waters in which they often reproduce. History and Culture: Archaeological research along the Santo Stefano Villamarina has uncovered traces of human presence in the Maddalena archipelago dating back to the Neolithic period. The presence of Romans is demonstrated by the discovery of archaeological navigation and trading materials. An archaeological research campaign carried out in 1958, in the stretch of sea from the Spargi canal along the Maddalena island, brought to light the remains of a 2nd century BC sailing vessel. Today these remains are conserved in the Museo Lamboglia in La Maddalena. The islands of Budelli and Santa Maria were in the first century a pirate's stronghold. The Archipelago has been inhabited by shepherds who have made their homes on the islands since the 1500's. 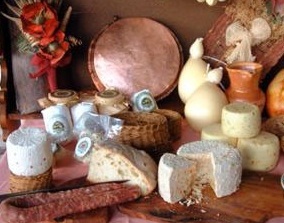 Typical Products and Craftwork: Local dairy products are typical of these areas, such as Sardinian pecorino, fresh soft cheese and lamb cooked on skewers. Typical dishes are grilled seafood, lobster and pasta or rice with shellfish and molluscs accompanied with a nice Sardinian Vermentino wine.